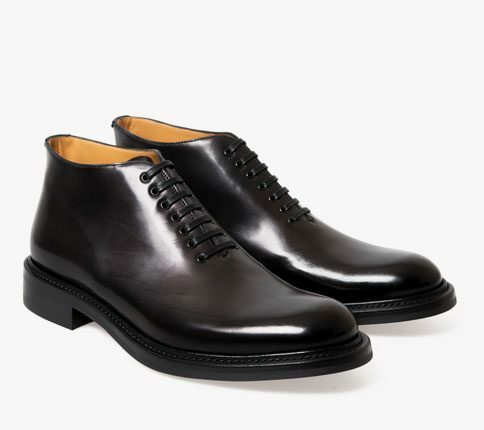 Algy short ‘Peaky’ boot in black Para-Shine leather with a Goodyear flex leather sole. 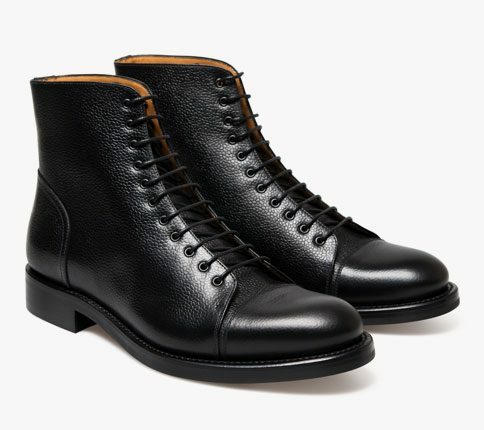 This eight eyelet boot is a great alternative to a brogues boot with its 1920s styling it is slightly shorter than our pebble grain Peaky boot. NB – Para-Shine hand polished gives natural creases due to us trying to limit the chemical tanning process and these should not be seen as defects.